Catecholamines (epinephrine and norepinephrine) are synthesised and produced by the adrenal medulla and postganglionic nerve fibres of the sympathetic nervous system. It is known that essential hypertension has a significant neurogenic component, with the rise in blood pressure mediated at least in part by overactivity of the sympathetic nervous system. 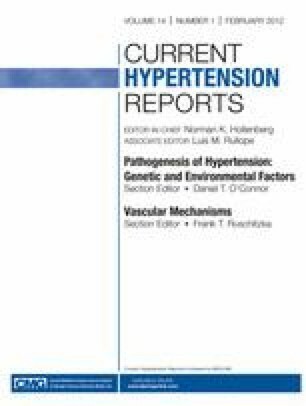 Moreover, novel therapeutic strategies aimed at reducing sympathetic activity show promise in the treatment of hypertension. This article reviews recent advances within this rapidly changing field, particularly focusing on the role of genetic polymorphisms within key catecholamine biosynthetic enzymes, cofactors, and storage molecules. In addition, mechanisms linking the sympathetic nervous system and other adverse cardiovascular states (obesity, insulin resistance, dyslipidaemia) are discussed, along with speculation as to how recent scientific advances may lead to the emergence of novel antihypertensive treatments. Conflicts of Interest: G. Currie: none; E.M. Freel: none; C.G. Perry: none; A. Dominiczak: payment for manuscript preparation from Servier International.